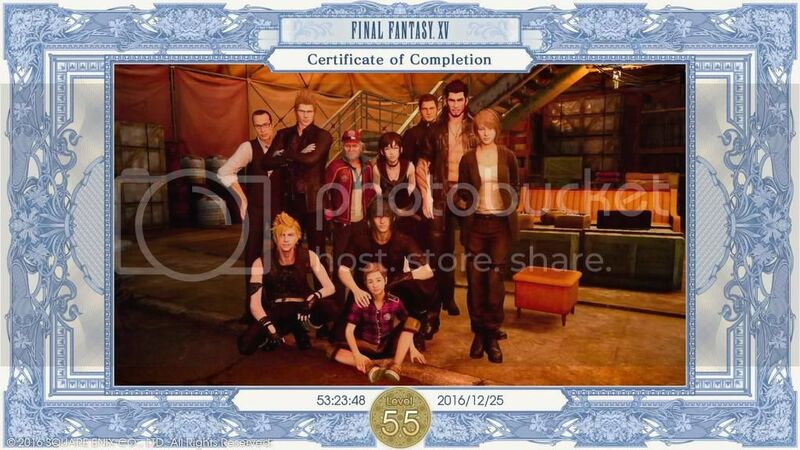 I completed the game and chose a good group picture for the completion certificate. It was a picture of the gang together with Iris, Talcott, and the rest of the peeps in Cape Caem. Scanned through the images that I saved and found the cup noodle image, then I thought this would be a great Final Fantasy XV completion image. I played the ending again, and chose the "cup noodle" picture. Picture Perfect! Above was the original image, however, the cup noodles might be funnier. What's your certificate of completion image?